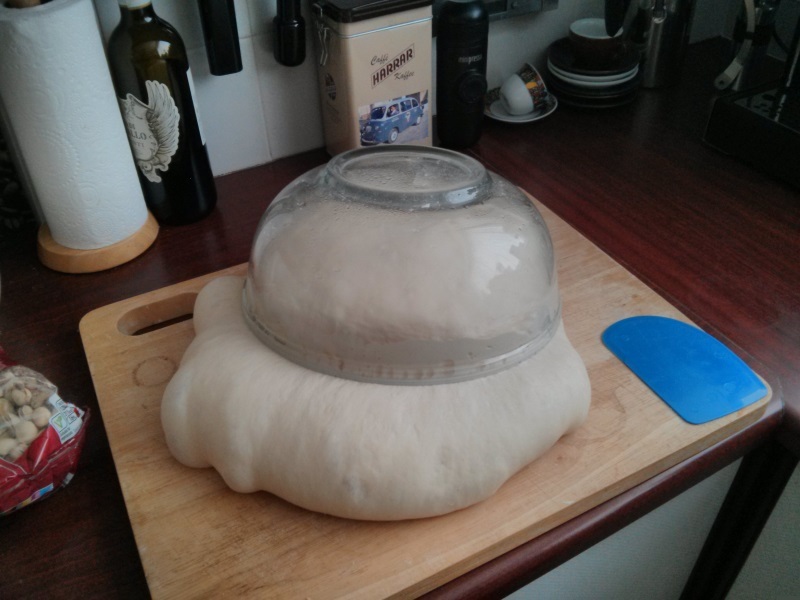 We decided to go out for something to eat at the weekend, and I left some bread dough to rise while we were out. This is what I found when we returned: This is pretty amazing really, because that glass bowl weighs 1.5kg! After punching it down and final proving, the bread turned out great, but it reminded me of this. Next Next post: Compressed Air Rocket Launcher!